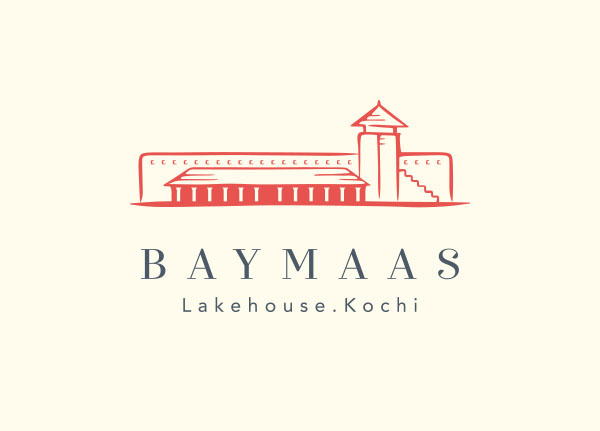 Welcome to the world of Baymaa, a living memory that celebrates the life of a compassionate, caring and dignified lady, who touched the lives of so many people with her simplicity and humanity. 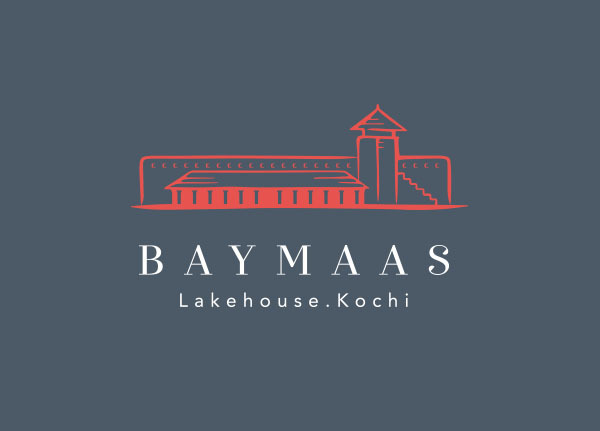 Baymaas Lakehouse is dedicated to her memory, her aspirations and her values. Baymaas, a traditionally charming home that has been skillfully resorted by the German architect Karl Damschen, is an exclusive getaway, where you can reconnect and rekindle your love for nature. 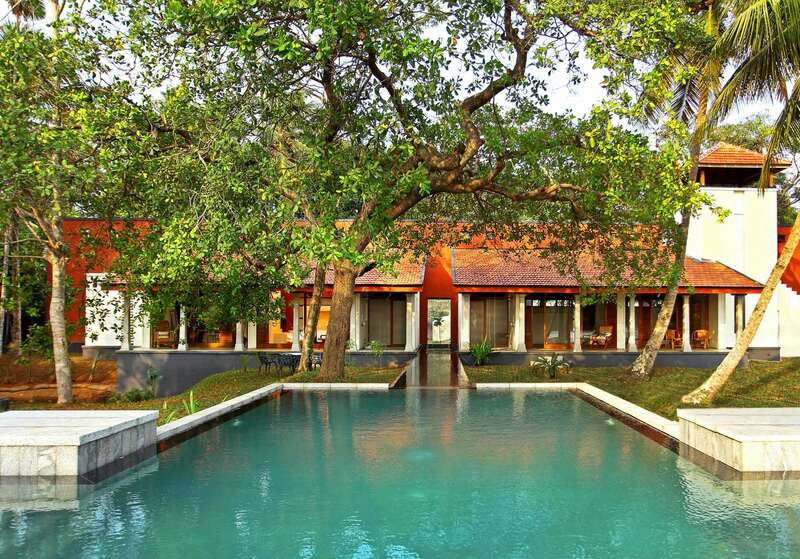 Designed to make your stay comfortable, the lake house has two picture-perfect suites that have a beautiful view of the backwaters. 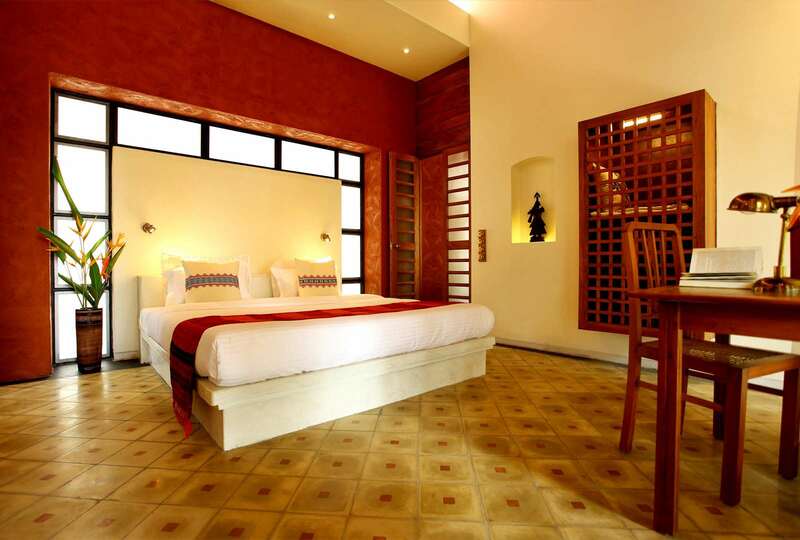 The old block houses Baymaa’s room along with a charming living room. 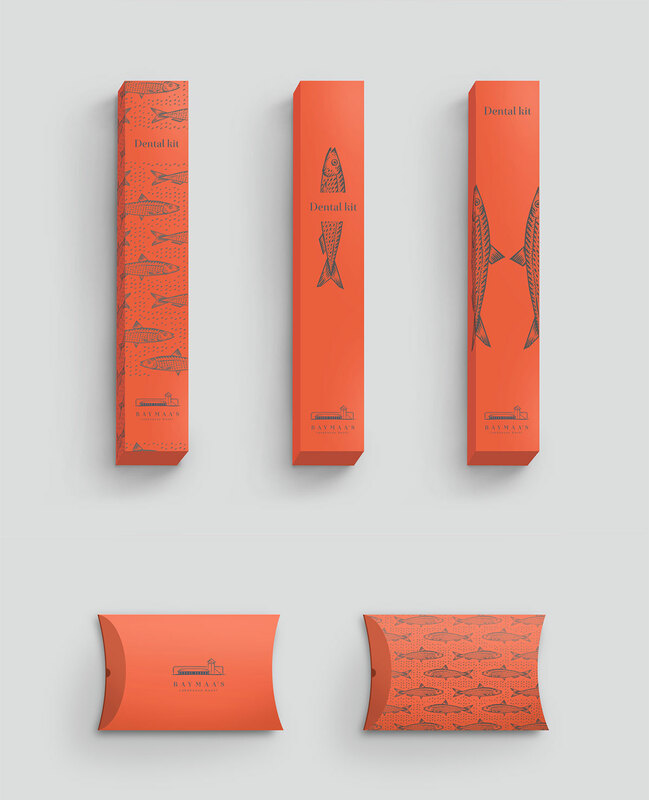 The ponds situated in the garden are teeming with freshwater fish, which served as the inspiration for the fish illustration on the toiletries. 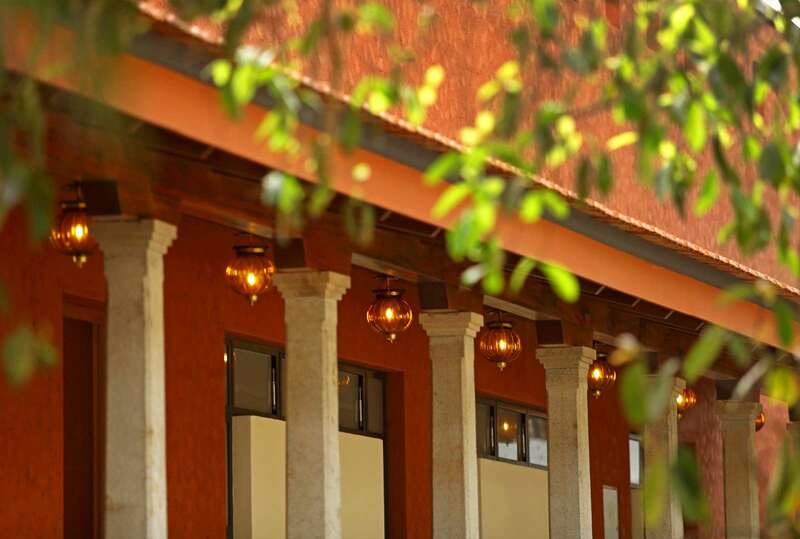 A very interesting and distinctive feature of the building which houses the main block is a striking mud wall in burnt orange. 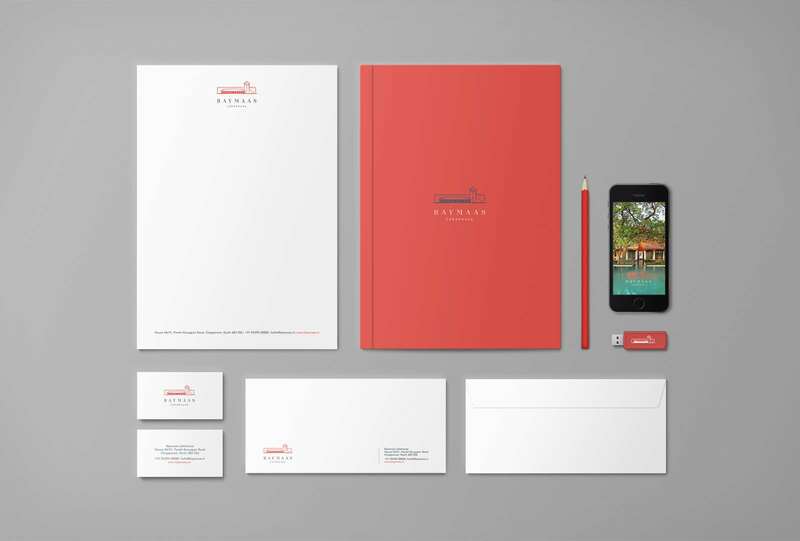 This warm burnt orange colour served as the inspiration for the cover of the brochure, as well as the distinctive packaging for the toiletries. 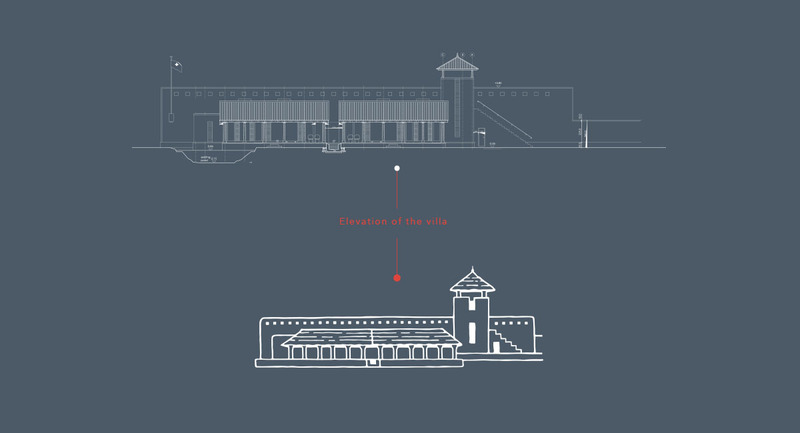 The shade of gray, which appears on the logo, reflects the grey rough granite used in certain areas of the structure. 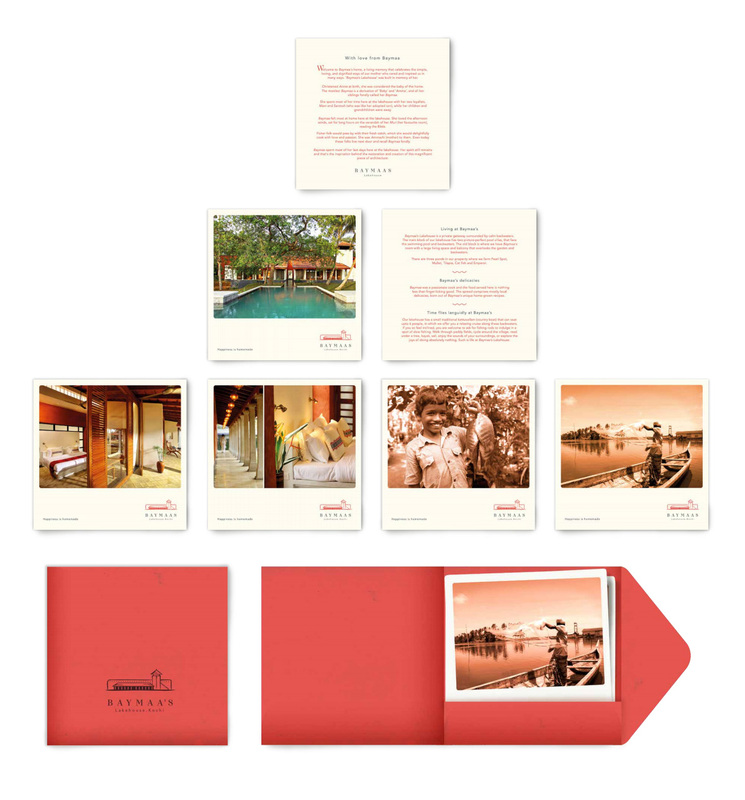 We deviated from the conventional brochure format to design a pouch in burnt orange which holds seven individual cards showcasing the various features of the resort. 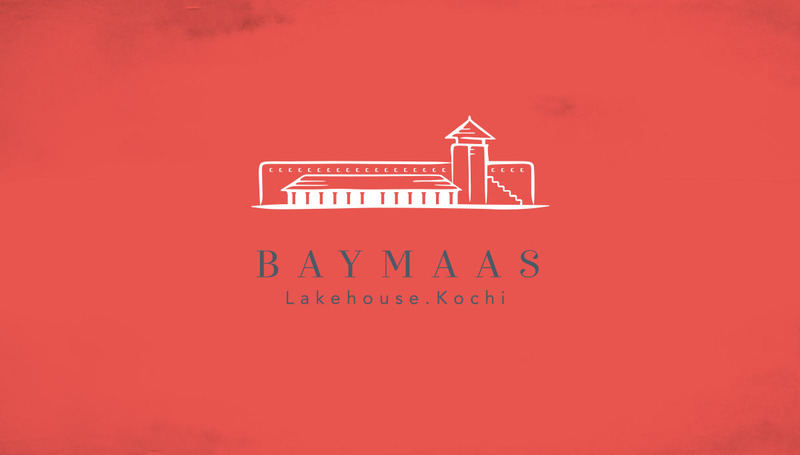 The first card provides information on Baymaa, in whose memory the resort is dedicated. 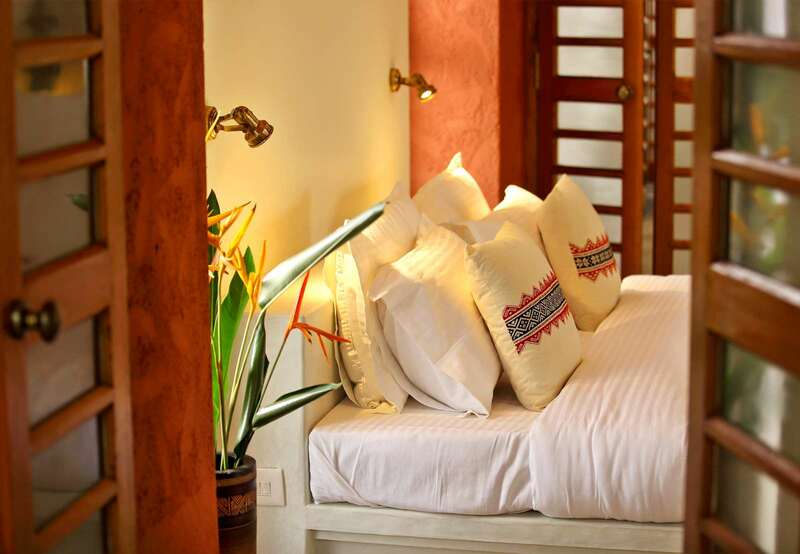 The second card is a fact sheet, which details the accommodation, facilities, amenities and activities offered. 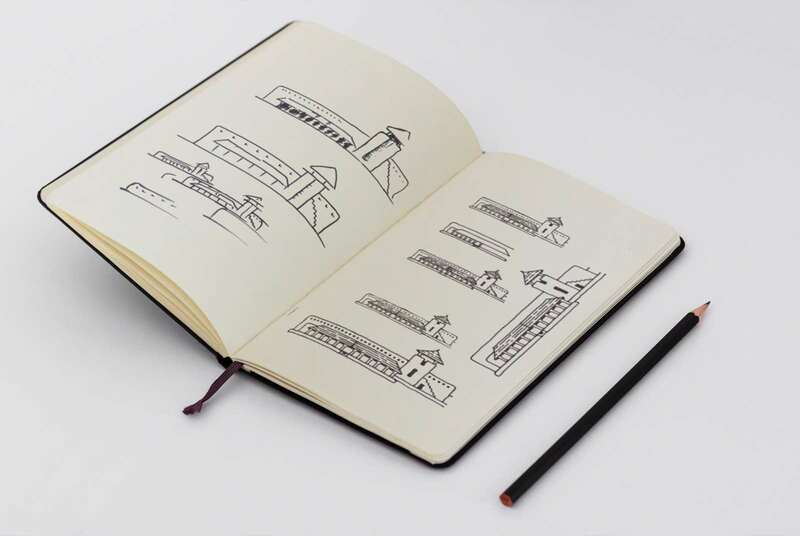 The rest of the cards are a photographic depiction of the arresting views of the property, interiors of the rooms and visuals of the surrounding landscape. 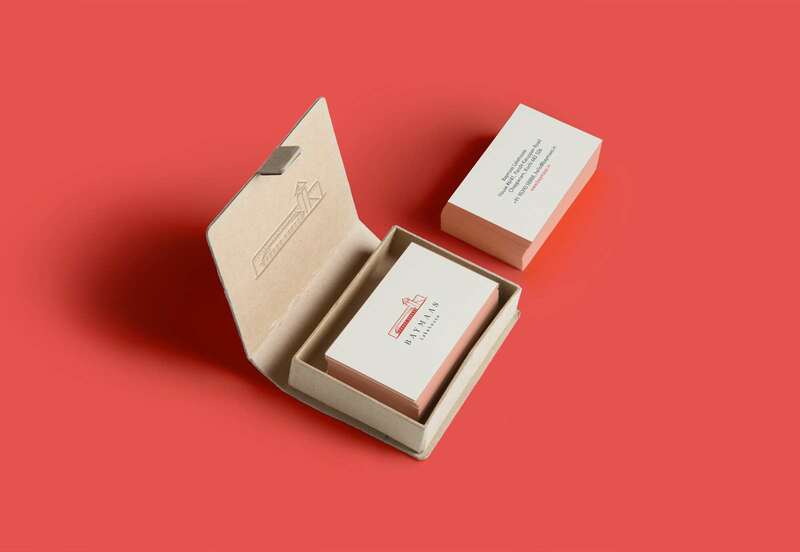 The packaging for the toiletries is screen printed with a woodcut style fish illustration, in grey on burnt orange paper, providing a striking contrast.